If you wanted to write games, this was the board to do it with! The board’s major failing was that the video output was not suitable for direct connection to a TV or colour monitor. 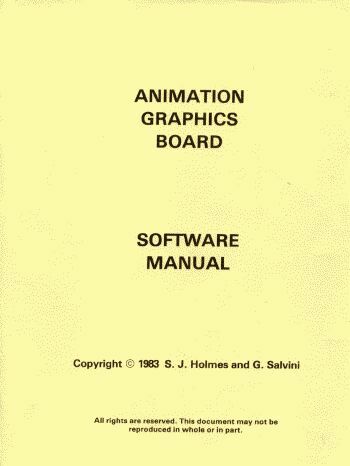 Software supplied with the board was on a cassette tape and written in Pascal so that board access procedures could be copied easily by the user. I have only shown the covers on this site as the content is rather large in comparison with the possible interest in this particular item! 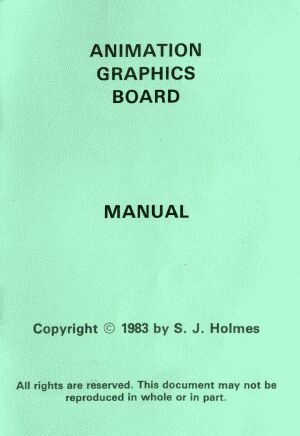 The workings of the board were originally described in Radio and Electronics World in a January 1983 article by S.J. Holmes, the hardware designer.